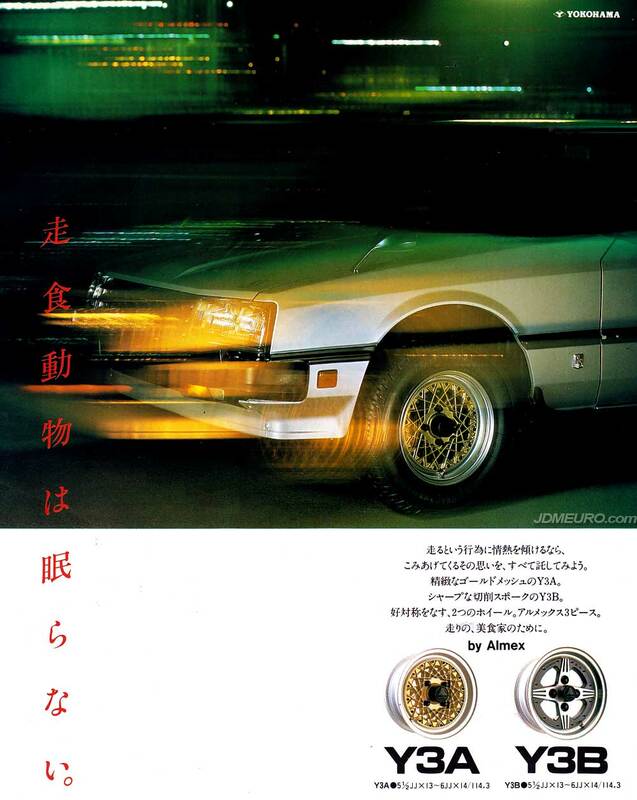 The Yokohama ALMEX Y3A & Yokohama ALMEX Y3B are Old School JDM Wheels which date back from the 1980’s. The ALMEX Y3A and ALMEX Y3B both feature multi piece construction and were available in 13″ and 14″ diameters. The Yokohama ALMEX Y3A featured a mesh face design while the Yokohama ALMEX Y3B has a 4 spoke cross design.